September 2014 – Andrew James Taggart, Practical Philosopher, Ph.D.
1. It dawns on me that there is a particular kind of person that I have been trying to describe over the past couple of years. There are three sets of terms that bring this kind of character more sharply into focus: dispositional terms, aesthetic terms, and an occurrence term. 2. The dispositional terms are lightheartedness (as in my book, Cultivating Discipline Lightly), cheerfulness (as in my posts about Nietzsche), chipperness, and eagerness. The aesthetic terms are fascination, wonderment, perplexity, marvel, intrigue, and disinterested interest. The occurrence term is surprise. 3. How are the dispositional terms connected to the aesthetic terms and to the occurrence term? 4. A P sort of man is someone who is open to being surprised. By a ‘P sort of man,’ I mean specifically cheerful, lighthearted, eager, chipper. 5. Presented with a surprise, the cheerful man is bound to feel perplexed, fascinated, a sense of marvel, a sense of intrigue, or a disinterested interest about what it is he is in the presence of. His proper response–perplexity or fascination, etc.–would depend upon his right perception of the situation. 5. A surprise is the starting point for an inquiry. Had he not been cheerful (or lighthearted, etc. ), he would not have been surprised; he would have passed things by without notice. Had he not been surprised, he would not have been put in the spirit of (e.g.) marvel. Had he not marveled, then he would have never inquired. 7. Why would any of this matter? Because we too often hear of the ‘happy man,’ the ‘tranquil man,’ the ‘resilient person,’ not to mention the ‘miserable man’ and his despairing cousins. But where do we hear of the cheerful man ever open to surprise, eagerly so, ever ready to marvel, and just on the cusp of inquiring? That must be the best man living the best kind of life! Everyone from designers to educators to New Agey types seems to be talking these days about ’embodied practice.’ I believe there is a more literal meaning as well as a more figurative one. According to the literal meaning, one is actually to be involved in some activity where one is conscious of being an embodied human being. According to the figurative meaning, one must get ‘out of one’s head’ and throw oneself fully into doing something or other. Or, rather, concepts–misunderstood to be the kinds of things that are only mental–are thereby to be put ‘into the world.’ I disagree. In an earlier set of posts about philosophy of mind (for an overview, see here), I have already suggested that our commonsensical, modern conception of mind is in error. From this, it would follow that our desire for ’embodied practice’ would be taking on board a misconception of our mental life. That is to say, if one’s mind is, somehow or other, separate from the physical world, then it would seem attractive to speak of ’embodied practice.’ But this is a mistake. In this post, I examine only the literal meaning of ’embodied practice’ with a view to showing that it is in error. I will likely consider the figurative meaning in the next post. I think it a good starting point to claim that someone would’t think of deceiving himself unless that about which he were about to deceive himself were thought to be painful for him to confront. The thought of someone trying to deceive himself about something pleasant sounds patently absurd. It could only be that someone who got a chocolate cake for his birthday were trying not to be disappointed when he says, ‘This was the kind of cake that I really wanted.’ In this case, he would have been pained to have felt that his desire for angel food cake wasn’t actually satisfied and so he tells himself instead that it is chocolate cake that he always wanted. Self-deception does seem to be like this: telling ourselves the things we would like to believe rather than examining whether something we think or said is, as a matter of fact, true. The reason we would like to believe that the world is cheery and bright in its everyday aspect is that believing this seems to make our lives a lot easier. Isn’t it great? This is the best of all possible worlds! 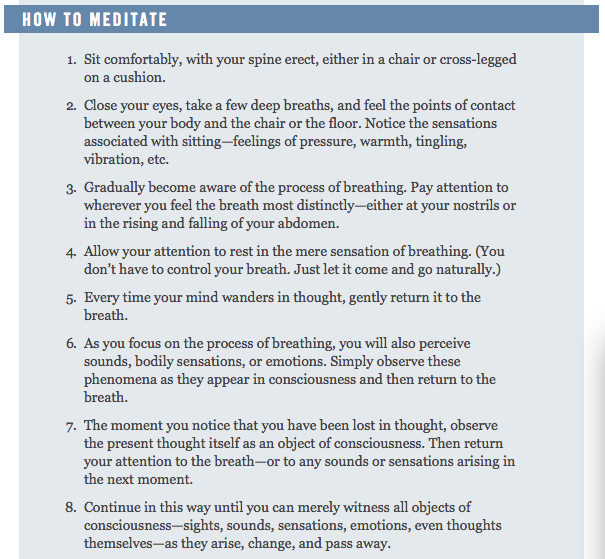 The following two meditation techniques are intended to give new conversation partners and philosophical friends in my philosophy practice some ‘handles’ on how to get started meditating. When I write that it is necessary for you to meditate for at least 30 minutes before any philosophical conversation with me, you might wonder why this is necessary and how to do so. One answer to the ‘why?’ question is that it prepares the mind to be put to the philosophical question. By virtue of meditation, the mind is trained to become alert, supple, and calm. In the following, I supply two answers to the ‘how?’ question. 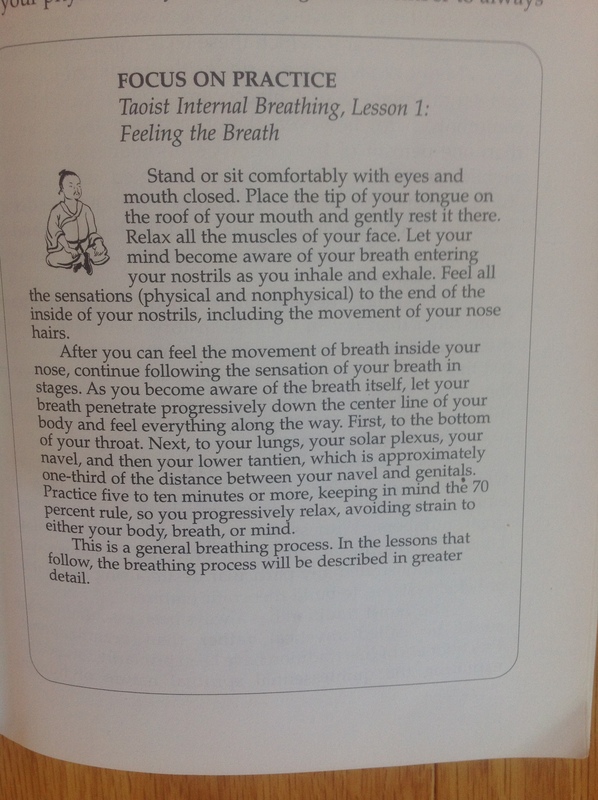 Source: Bruce Frantzis, Relaxing Into Your Being: Breathing, Chi, and Dissolving the Ego. The Water Method of Taoist Meditation: Volume 1.